Current Status: Open daily from 1000 to 1700. Current Status: Operates every Saturday and Sunday between 1300 and 1700. Also operates on August bank holiday Monday and Wednesdays-Fridays during school holidays. Timetable in operation: Trams depart Taylor Street every half hour between 1250 and 1620 returning from Woodside between 1305 and 1635 using 1 tram. Current Status: Operates all weekends until Sunday 9th November plus school holidays and Bank Holidays. Please note these dates are only for approximately the next month, for details of operating information beyond either see the Events Diary or visit the link below. Current Status: Open daily until Sunday 1st November. Timetable in operation: First tram departs Strathallan at 0900 and then every 20 minutes until 1720. Return journeys commence from the Sea Terminal at 0920 and then every 20 minutes until 1740. Current Status: Open Sundays and Thursdays plus selected school holidays. Open: Sundays and Thursdays until Sunday 24th May. Then daily until Thursday 28th May. From Sunday 31st May open every Sunday, Wednesday & Saturday until summer school holidays. Opening hours 1200 until 1630. Current Status: Daily operation until end of October. Timetable in operation: Trams every 20 minutes between 1000 and 1800. Current Status: Open every Saturday & Sunday. Also open Monday 25th May. Closed Saturday 6th & Sunday 7th June. Trams run between 1200 and 1600. For full details on forthcoming services on the Manx Electric Railway please visit the official website below. 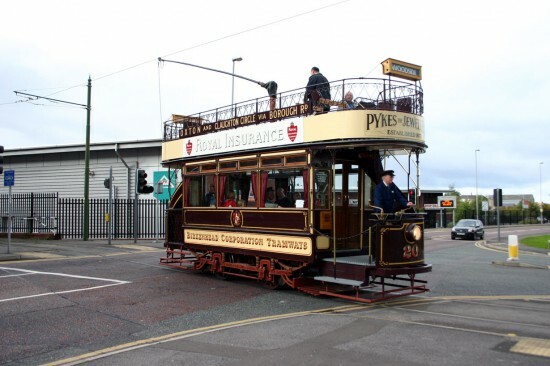 For full details on forthcoming services on the Seaton Tramway please visit the official website below. Saturday 13th June to Friday 17th July – Timetable C (services every 30 minutes between 1015 and 1545). Evening services run every Wednesday and Friday. Current Status: Open daily between 1000 and 1700. Opening hours: 1000-1700. One tram is usually in service each day. The information provided above is given in good faith and is correct to the best of our knowledge. If you know of any errors please contact us by using the comments section below or by emailing gareth@britishtramsonline.co.uk. This entry was posted in Going for a ride. Bookmark the permalink. Thanks for this update, and I’m sure it’s a difficult job to get everything spot on. However, you have shown the EATM as open on Wednesdays, this should of course be Thursdays. Any chance you could do an update please?